It’s a special week here at Style Island because we’re working on a huge blogger giveaway and recipe link up with #CookoutWeek. Organized by Pintertest Kitchen, the mega sized foodie giveaway is also an opportunity to be inspired by summer ideas from over fifty, terrific bloggers including myself. All week long, we were inspired by various gourmet fare; creating recipes perfect for summer days. Not only did I get to pick from my own selection of gourmet goodies, but decide just how to turn that into something tasty. First up, a surprise from The French Farm whose package also included their honey and extra virgin olive oil. (More on those items later though). The French Farm truffle mayonnaise was a special treat to find inside my foodie package, and caught my eye right away, so feeling decadent I decided to use it first. 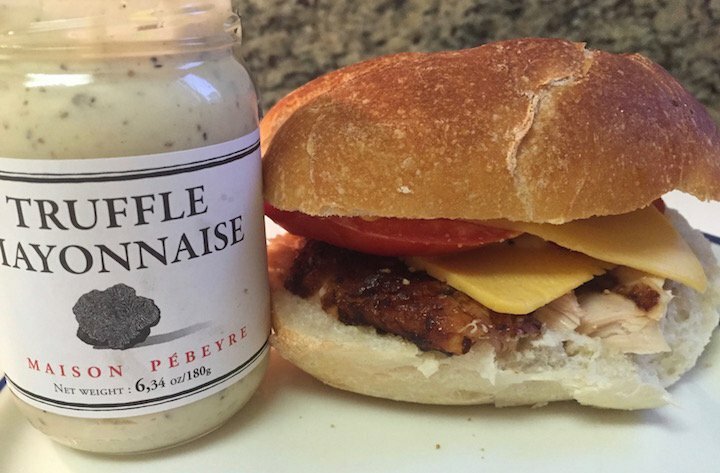 It isn’t every day you get to make your sandwiches with gourmet truffle mayo after all. As #CookoutWeek continues, I’m sharing two of those easy, summer sandwich ideas using that tasty truffle mayonnaise from sponsor The French Farm. The site offers an array of gourmet foods, from condiments, to pasta and more, as well as kitchen gadgets and boutique home items. 1. Rotisserie chicken, american cheese, tomato and mayo. 2. 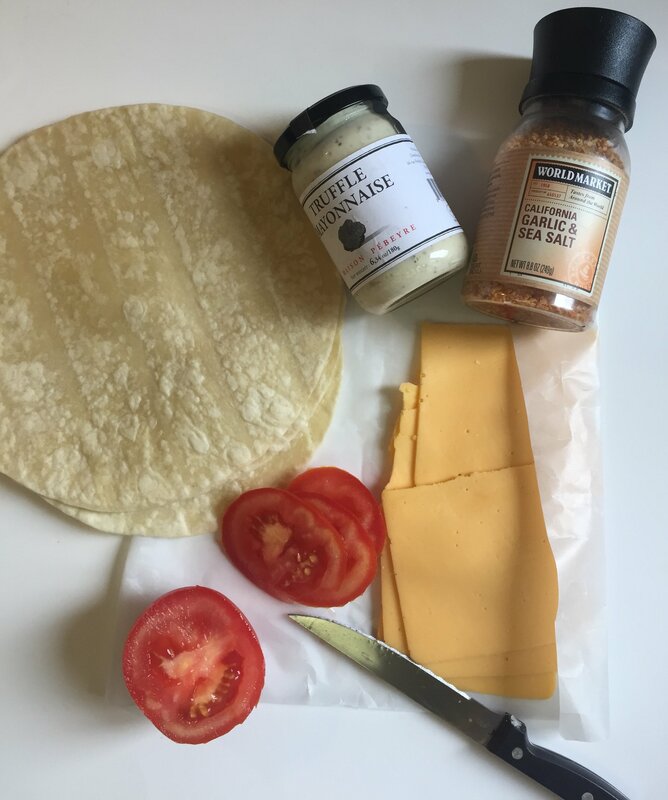 Toasty tomato cheese wrap. 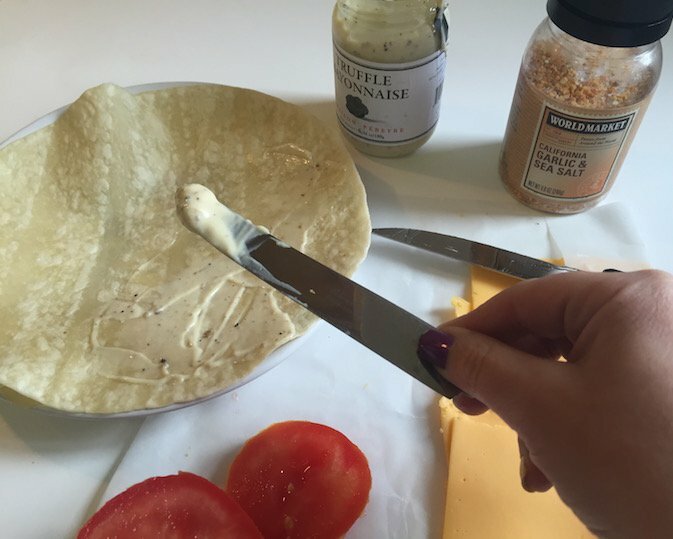 Add mayo, cheese, tomato, garlic salt to a wrap. 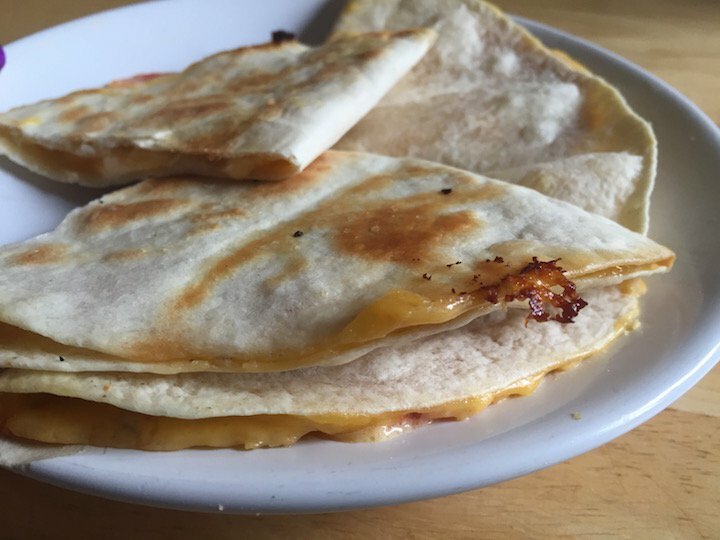 Fold over, and microwave on high for 15 seconds. Truffle Mayonnaise, Maison Pebeyre, $25 At The French Farm. Having those lunches waiting for you must have kept you distracted all morning long. This looks like a delicious sandwich. That mayo looks heavenly to use too. 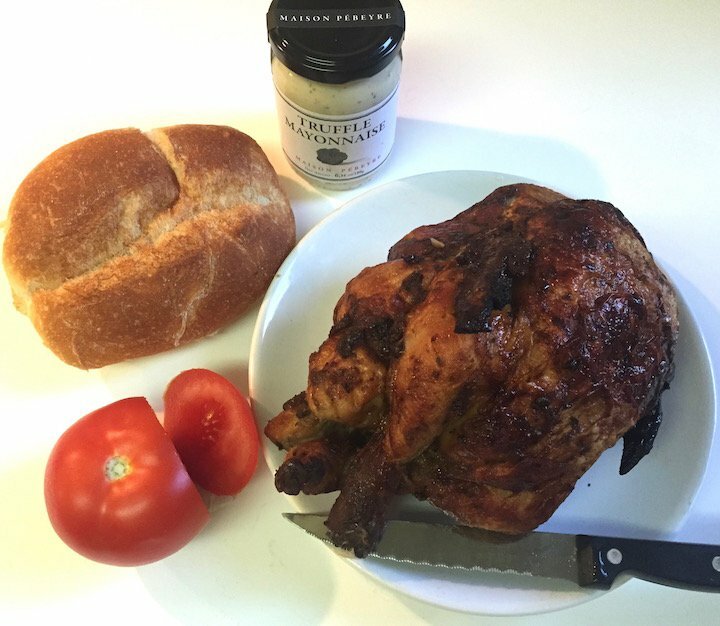 I love using rotisserie chicken to make sandwiches, easy, quick and delicious! Yumm-O! This sounds great! Thanks for sharing!